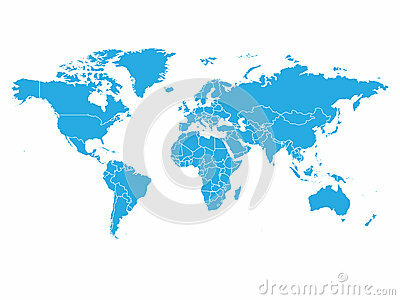 World map in blue color on white background. High detail blank political map. Vector illustration with labeled compound path of each country.